Hi, my name is Sally Johnson and I have recently graduated from Southampton Solent University with a BA Honours degree in Photography and I am now looking to raise funding to invest in my photography business. Whilst studying for my degree over the past few years I have been running my business on a part time basis, photographing weddings, portraits (people and pets), nursery children as well as undertaking some commercial photographic commissions. Having completed my studies, I am now ready to focus on taking things to the next level and concentrate on making the business a success. Through the university's Student and Graduate Entrepreneur Scheme I have secured a grant of £1000 which is dependent on raising a minimum of a further £300 myself. The goal of ‘The Xperience Group’ is to mentor photographers, developing their business skills, helping to streamline their marketing to generate more clients and improving their photographic skills to maximise sales - It also provides a friendly, helpful and supportive network of fellow photographers. I am also looking to update my website, invest in a professional photo quality printer and create a dedicated home office. In exchange for your support, I am offering a variety of rewards and pledge options. From simply pledging £1 (or any amount you choose) and receiving my sincerest thanks, to pledging £100 to receive a one to one photographic training day with me. If you would just like to contribute to my campaign without receiving a physical reward please choose this option. You can donate from as little as £1 or you can change the amount once you click through to the next step. 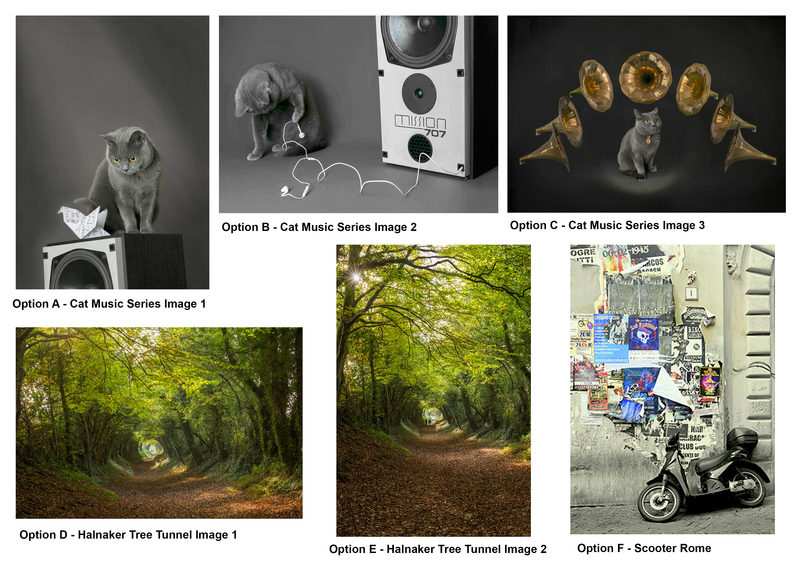 For £5 you can choose two postcards from my Cat Music series and Halnaker Tree Tunnel landscape. You can also view the images individually on my Facebook Page - I will contact you to find out your choice at the end of the campaign. £25 for a signed framed A4 print of one of my images - Choose from one of the following options (you can also view the images individually on my Facebook Page) - I will contact you to find out your choice at the end of the campaign. For £75 you can have a portrait session, which will include all high resolution images on a CD plus a framed A4 print of your favourite photo from the day. Are you celebrating an anniversary, an engagement or having a family get together? 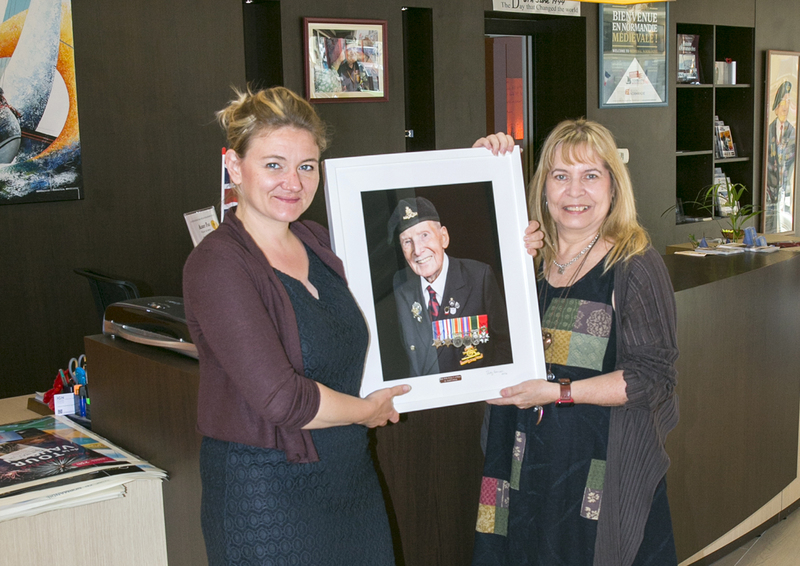 - Why not mark the occasion by having a portrait to help you remember it by? Or, maybe you would like a portrait of yourself or your pet (or with your pet) to give to someone special as a present. I have a mobile studio, so I can either come to you or we can do the shoot at a location of your choice. (This reward is subject to travel within 25 miles of Southampton, unless agreed by prior arrangement). For £100 receive a one to one photographic training day with me. Would you like to get to grips with your camera and to spend a day having some one to one photography tuition? You might like to try your hand at either a portrait session (including the use of my mobile studio lighting equipment) or a location shoot, plus an A3 print of your choice printed on premium photographic paper - I will even throw in lunch! HOW YOU CAN HELP ME SUCCEED! Your support is sincerely appreciated but you can help further by sharing this campaign with anyone you think might like to support me e.g. on Twitter, Facebook, LinkedIn, by email, telephone or even in a chat. RECEIVE TWO POSTCARDS A huge thank you and a set of two postcards photographed by me. 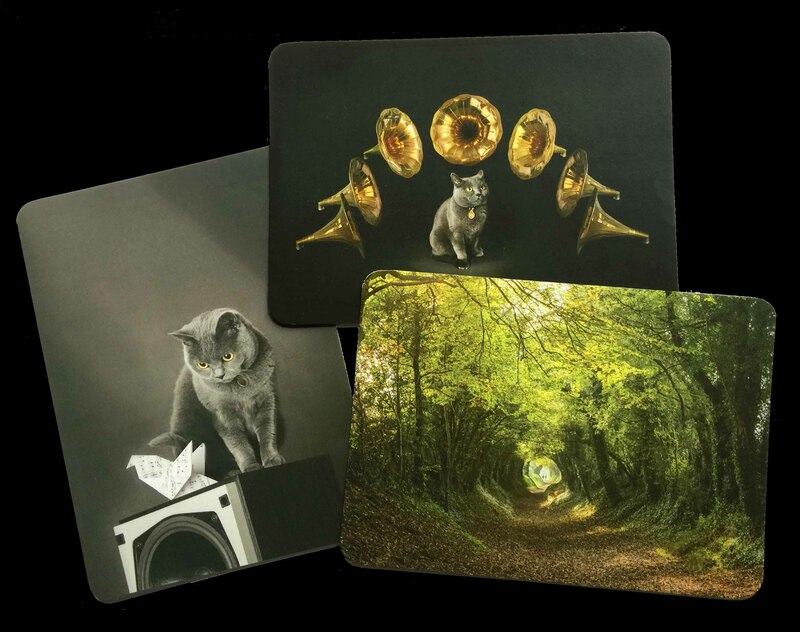 A choice of two postcards from my Cat Music series and Halnaker Tree Tunnel landscape. A SIGNED FRAMED A4 PRINT of one of my images. Choose one image from several options (you can view the images under the 'Reward Levels' section and individually on my Facebook Page) - I will contact you to find out your choice at the end of the campaign. 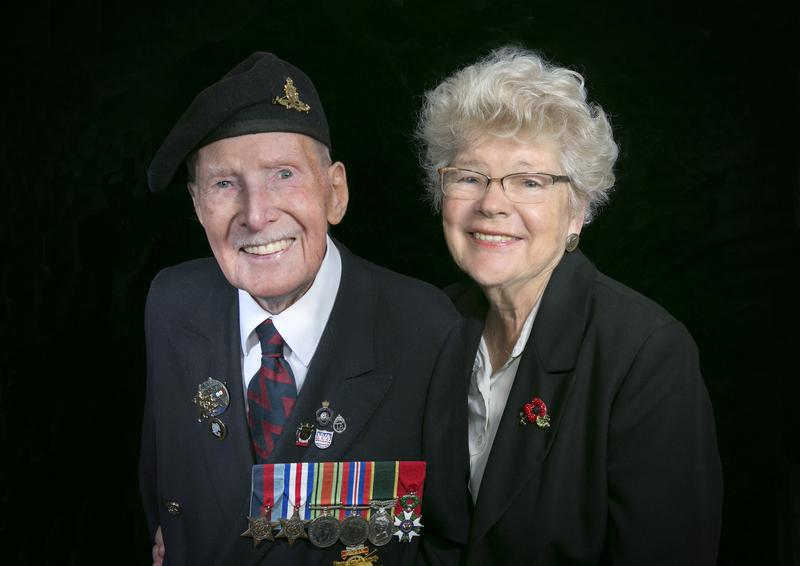 A PORTRAIT SESSION including all high resolution images on CD and a framed A4 print of your favourite photo from the day - See 'Reward Levels' section for full details. Mobile studio session, or location of your choice (subject to distance - within 25 miles of Southampton unless agreed in advance). A 1-2-1 PHOTOGRAPHIC TRAINING DAY with me. Would you like to get to grips with your camera and spend a day having some 1-2-1 photography tuition? You might like to try your hand at a studio style portrait session (including the use of my mobile studio lighting equipment) or a location shoot, plus an A3 print of your choice printed on premium photographic paper - I will even throw in lunch! (Reward subject to distance - within 25 miles of Southampton unless agreed in advance).